Joseph Pilates Is the Einstein of Fitness! Joseph Pilates believed that poor health is rooted in bad posture, shallow breathing, and a lack of physical exercise. 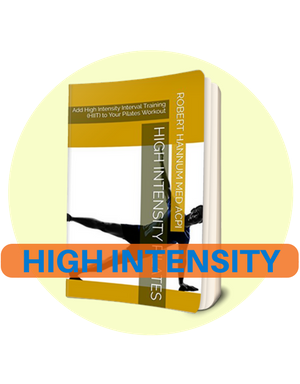 He created unique exercises and equipment which now have worldwide popularity and nearly 100 years of proven effectiveness. No other exercise technique delivers so many benefits. Though a great deal of credit goes to improvements made by subsequent Pilates teachers, it is Joseph Pilates who set the stage. He possessed a true gift for healing – especially among professional dancers who came to him with serious physical ailments. All of this is why I refer to Joseph Pilates as the Einstein of fitness. Let’s take a closer look at his life – warts and all! Joseph Humbertus Pilates (puh-LAH-teez) was born on December 9, 1883 in Mönchengladbach, Germany, a little town near Dusseldorf. His father was a mechanic and “prize-winning gymnast” who later ran a gym. Reports that his mother was a naturopath are probably overstated. 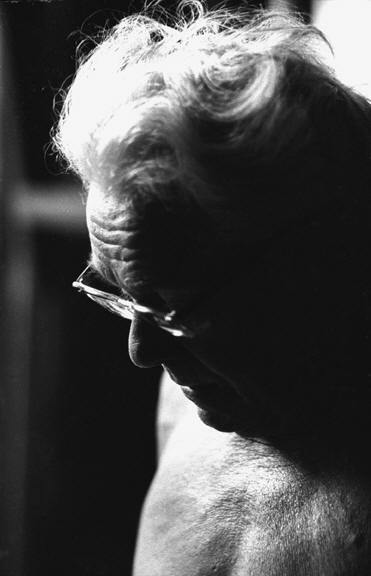 In the fine biography by Bruce Thomson he says, “…it was more likely that as a resourceful and caring mother of nine, she studied and applied naturopathic skills as best she could….” Since naturopaths believe that the body can heal itself, this philosophy was no doubt a major influence in Joseph Pilates’ lifelong view of the healing power of exercise. As a young boy, Pilates suffered from many health problems including asthma, rheumatic fever, and rickets. He was also a victim of bullying, and as a result of one episode at the age of 5 lost sight in his left eye. This drove him to rigorous physical exercise to learn self defense and improve his health. He studied anatomy books and the movements of animals. “I learned every page, every part of the body….I would lie in the woods for hours, hiding and watching the animals move, how the mother taught the young.” He studied Eastern disciplines of yoga, tai chi, kung fu, and qigong. He integrated these with Western disciplines of body-building, boxing, gymnastics and recreational sports such as skiing and diving. He also studied the fitness practices of the ancient Greeks and Romans. By the age of 14 he had overcome his health problems and was so fit that he was modeling for anatomical charts. Growing up in Germany, he worked in a brewery and achieved some success as a boxer and gymnast. He married in 1905 and had a daughter. His wife Maria died in 1913. In 1912 he moved to England to further his boxing career. He also took a job as a circus performer and in 1914 became quite a star with his gladiator act which he performed with his brother. I have found no explanation for the fact that he did not move to England with his wife or daughter. When World War I broke out he was interned with other German citizens of England in a camp in Lancaster. Here he taught fellow inmates wrestling and self defense. Here, too, he begins to teach and develop the mat exercises that he would later call “Contrology”. He was transferred to another camp on The Isle of Man where he continued to help wherever needed and encourage exercise. At one point he began helping patients in the infirmary and it was at this point that he invented the first of many innovative exercise and rehabilitative machines. In those days bed rest was considered the best treatment for most illness. Pilates was told, “you can do anything you like with them, as long as they stay in bed”. So he created an apparatus from bunk beds and springs to allow bed-ridden inmates an effective way to exercise. His care and fitness regimen is widely credited for the fact that no one in his camp contracted influenza during the great 1918 flu epidemic which swept the world and killed millions. In 1923 Pilates was invited to train the New German Army, but he was not happy with the political direction of his country. Whether due to his relationship with his wife, or the troubling political scene, or the urgings of relatives living in America, what we know for certain is that during a second trip to New York in 1926, he would meet a woman named Anna Clara Zeuner and never return to Germany. Joe and Clara settled together in New York City, and though they never married, they became business and personal partners for the rest of his life. They opened a studio in New York City and taught ‘Contrology.’ Located in the heart of the dance and theater scene, the couple soon had a devout following of local dancers and other performing artists who came regularly for training and rehabilitation. Famous dancers such as George Balanchine, Ted Shawn and Martha Graham were regular members as were all of their students. Among them was my teacher Mary Bowen who continues to travel and teach Pilates all over the world as one of the first generation of Pilates students now known as “Pilates Elders.” Less than a handful are still alive today. Though Pilates was a fitness genius, he had a complicated personal life. His wife and 2 children were not with him when he moved to New York, although years later one daughter joined him as a teacher in his studio. He had intimate relations with other women besides Clara. And tragically, despite his great dedication to physical fitness, he became a heavy drinker and cigar smoker. These habits only appeared late in his life and Mary believes that they reflected a bitterness over not receiving the recognition from the medical community that his so deserved. The drinking became such a problem that finally Ted Shawn, the director of Jacob’s Pillow, asked him not to return. The smoking habit finally killed him – he died of emphyzema at the age of 83. Pilates wrote 2 books, Return to Life Through Contrology and Your Health. He was a prolific inventor of exercise equipment and rehabilitation aparatus with over 20 patents. 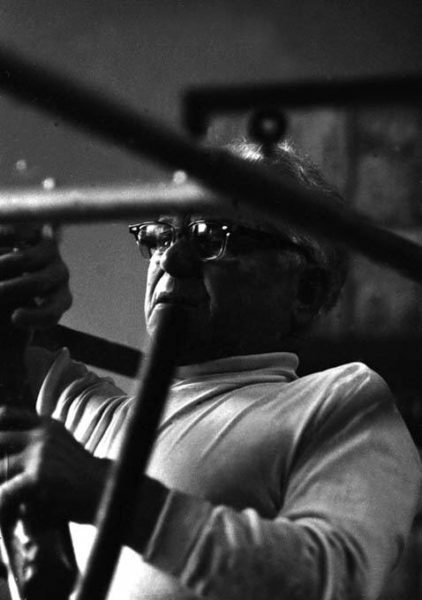 As a testament to his total belief in his method, Joe Pilates exercised rigorously until shortly before his death. He always knew that his exercise method would someday become a worldwide sensation. He stated it in one of his books, and two days before his death repeated it to his lawyer. Clara and their many students continued to teach and develop the Pilates method. Within just 25 years after his death, Pilates had spread worldwide with millions of enthusiasts. His principles of core strength are now accepted and practiced by fitness trainers and physical therapists all over the world. The photos in this article are rare portraits of Pilates used with permission by the photographer, I.C. Rapoport.